Karen Bergstrom proved herself to be a highly regarded member of the Bartlett athletic program making her mark on the varsity sports of soccer, basketball, and softball during her six years at Bartlett High School. Earning a position on the varsity soccer team in the eighth grade, Karen went on to become a Worcester Telegram & Gazette, as well as Border Conference, All-Star for the next four years. She very well would have made those same all-star teams for a fifth year, however she suffered a soccer career ending knee injury at the start of her senior year. In soccer, she was a tremendous talent. She was an outstanding scorer on the forward line and was moved to defense on many occasions to bolster that phase of the game as needed. When it came to basketball, perhaps her strongest sport, Karen did not hesitate to make an everlasting impact. She began her varsity basketball experience in the seventh grade. Throughout her next six years, Karen was a Telegram & Gazette All-Star three years and was a Border Conference All-Star on four occasions. She was an outstanding point guard and passer and was very exciting with her ball handling and dribbling skills. In addition, she was a scoring machine from all angles on the floor. She recorded her 1,000th point in her career as a junior and concluded her career with 1,616 points and became the leading scorer in the history of Bartlett basketball. 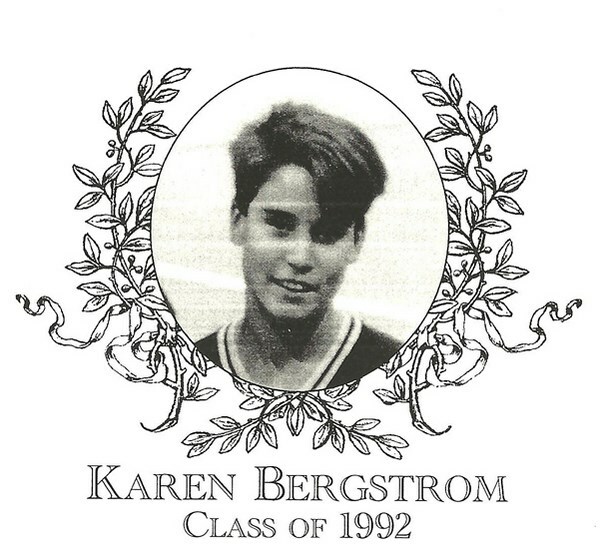 Karen was also a significant member of the varsity softball team for three years. Karen was one of the team�s leading hitters as well as performing as a standout catcher with a strong throwing arm. Upon graduation, Karen had earned thirteen varsity letters. Karen faced many obstacles and challenges, whether it was on the soccer pitch, court, diamond, etc. However, ultimately she overcame those roadblocks and went on to make her family and friends extremely proud.